The Dallas Cup has been played and completed with FC Dallas claiming a memorable victory at Toyota Stadium on Sunday. The Gordon Jago Supergroup final was a virtual Under 20 CONCACAF Champions League final as the American Champion FC Dallas took on the leading Mexican team CF Monterrey. The crowd packed in to the stadium as a Dallas Cup record crowd of 8,747 made their way to Frisco for the match. FC Dallas opened the scoring in the 23rd minute to the delight of the crowd as Jesus Ferreira was able to find a wide open Paxton Pomykal. From the edge of the box he looked at the positioning of the goalkeeper and hit a powerful shot just out of the reach of the keeper to give FC Dallas the lead. It was a physical match for the final 20 minutes of the half as the sides flew into the challenges, leading to five yellow cards by half-time. All those fouls suited FC Dallas as they comfortably head to the break 1-0 up. Both sides came out from the break determined to get the second goal of the match as Dallas looked to get a cushion and Monterrey looked for an equalizer. But both sides struggled to break through with strong defensive work holding out in an end-to-end match. With eight minutes left in the match the second goal finally came and it set up a thrilling finish as Monterrey had an equalizer. A free-kick found the woodwork and Dallas failed to clear, which allowed Erick Amaro to get a deflection on it, sending it into the back of the net. That goal seemingly had the match heading to extra time but with one minute to play that all changed. Arturo Rodriguez weaved all over getting through the Monterrey defense and looked up from 30 yards taking a powerful shot which left the keeper with no chance and gave FC Dallas the Dallas Cup title. The final day of the group stages for the Dallas Cup Gordon Jago Super Group was a cracker as the semi-finals line up was determined after Thursday’s matches. The first match was effectively a quarter-final as Tigres took on Toronto FC at MoneyGram Park with the winner advancing to the semi-final. Things started well for the Mexican side as Luis Bonilla opened the scoring just four minutes in to the match. Toronto improved defensively but eventually Tigres was able to make their possession tell as Cruz Leal buried a chance in the 63rd minute to give Tigres the win. The other match was a battle to avoid coming last as Red Bull Brasil took on Eintracht Frankfurt at the Cotton Bowl. The Germans took the lead but Red Bull Brasil fought back well and manage a 2-1 win to finish the group in second place, jumping above Toronto FC. The second group to play in the day saw a thrilling finish to Bracket B as the top two teams finished tied on seven points. The main match saw Everton taking on CF Monterrey with both teams needing a win to have any hope of advancing to the next stage. On the half hour mark Monterrey hit the lead after Daniel Lajud Martinez did well to keep hold of possession and hit a powerful strike across the goalkeeper and in to the back of the net. A penalty allowed Monterrey to double their lead after a foul from Nathan Moore, which allowed Jonathan Gonzalez to step up and bury the chance to make it 2-0 and boost their chances of advancing as Everton failed to get a goal back. The match at MoneyGram Park saw FC Dallas take on Maccabi Haifa in a tight match, which was defensive for much of the match, the two teams heading to the half scoreless. On the hour mark FC Dallas finally broke through as Mark Salas buried the goal and saw them win through. Thanks to the 1-0 win FC Dallas advanced to the semi-finals, on goal difference, but they will be joined by CF Monterrey who advance as the best runner up. The final matches of the day came in Bracket A with the main match seeing Cortiba and Manchester United battling in a match Manchester United had to win to advance. Things did not start well for the Red Devils as they gave away a free-kick goal in the 17th minute scored by Yuri Rocha. In the 33rd minute Mathew Olosunde was able to clean up a rebound to make it 1-1 going in to the half. In the second half it was scoreless as the two teams physicality kept it tight and limited the scoring chances, making the match a 1-1 draw. That saw Cortiba anxiously watching for the result from MoneyGram Park where Chivas Guadalajara fought out a scoreless draw with Real Salt Lake meaning Cortiba advanced to the semi-finals. For the first time a San Antonio development academy team has entered the Dallas Cup as San Antonio FC’s pro academy went to the tournament which got under way on Monday. The side has had a perfect week so far as they managed two wins in their first two matches. Their first match was against the Mexican team Club Mana 04 in an entertaining match which they won 3-2. San Antonio won it late on taking away a win in a match they were the better side on but a fast finishing Club Mana nearly took things away from them, all the scoring came in the final 40 minutes of the match. The star for San Antonio FC was Abraham Lincon who scored a brace. Following up that win in their first match San Antonio FC looked to take that momentum and managed a big win over Celtic Academy Harps (CA) on Tuesday. It was an even stronger performance as they managed a 2-0 win, playing especially well defensively. With those results, coupled with the other results in their group, San Antonio FC is all but guaranteed a place in the next round as they sit as the only team in their group with a perfect 2-0 record. All San Antonio FC will need in their third match of the tournament is a draw and they will top the group. 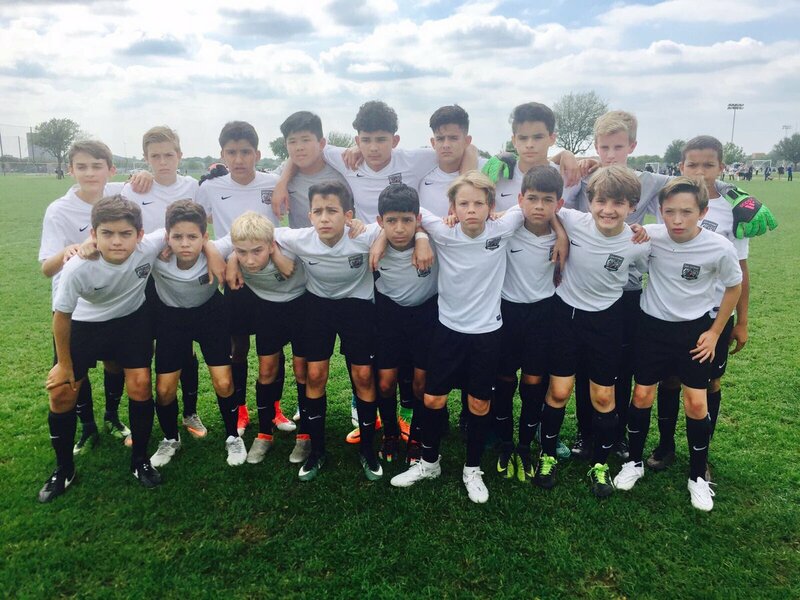 On Wednesday San Antonio FC easily won through to the quarter-finals as they managed a big 5-0 win over FC Dallas’ Youth 04B Premier side. That pushed San Antonio FC to the playoffs where they’ll play yet another FC Dallas side. One of the biggest youth soccer events in the world, the Dallas Cup and their key event had crucial matches on Tuesday as they completed the third day of play in the Gordon Jago Super Group. A match had to be played over two days as their match got postponed due to weather on Monday. Chivas Guadalajara took on Cortiba who started the match quickly scoring just two minutes in through Henrique Vermudt before adding a second in the 16th from Yuri Rocha. Chivas pulled a goal back in the 25th minute through Bryan Haro to make it 2-1 at half-time. The second half saw Cortiba start with two quick goals to shoot out to a 4-1 lead with Matheus da Cunha and Talysson Machado scoring the goals. Haro scored again in the 76th minute to give Chivas a glimmer of hope before Gonzalez Munoz really pushed Chivas in it in the 86th minute but with just four minutes they couldn’t get back. With the win Cortiba lead their group with four points and so will be looking for Manchester United to lose and Chivas to not win to seal a place in the semi-finals. Another tight match occurred in Bracket B when CF Monterrey took on Maccabi Haifa with Monterrey having to wait until the very last minute to claim the 2-1 win. Juan Machado opened the scoring in just the 9th minute for Monterrey but the two sides fought hard the rest of the half and 1-0 remained the score going in to the break. Maccabi Haifa scored their first goal of the tournament in the second half as Shadi Masarwa leveled things and was pushing them to an unlikely draw until Machado scored in the 90th to get the 2-1 win. Monterrey still trails FC Dallas who lead the group but will still need a win to seal passage to the semi-finals or need Everton to win. Needing a win to keep their hopes alive Eintracht Frankfurt started their match against Toronto FC well, opening the scoring in the 4th minute thanks to Mahato Takahashi. The Germans were the dominant side and early in the half earned a penalty which Nils Hedt hit but could only find the post. Toronto capitalized on that miss in the 64th minute when Shaan Hundal converted a cross with a powerful finish for a 1-1 draw, eliminating Eintracht Frankfurt. The final match of the day was at MoneyGram Park as Tigres and Red Bull Brasil fought out a 2-2 draw in an entertaining match. The only goal in the first half came as a surprise as Red Bull Brasil took the lead in the 27th minute through Danilo Albuquerque giving Red Bull Brasil a 1-0 lead at the break. In the second half Red Bull Brasil doubled their lead on the hour mark as Vitor Vieira scored a goal, putting Tigres in trouble. Tigres equalized in the 79th minute as Luis Bonilla was able to score a goal and pull his side back in it until a late equalizer from Juan Sanchez to seal a 2-2 draw and kept Tigres alive in the tournament. That makes the match between Tigres and Toronto FC a virtual semi-final as the winner will advance to the semi-finals. 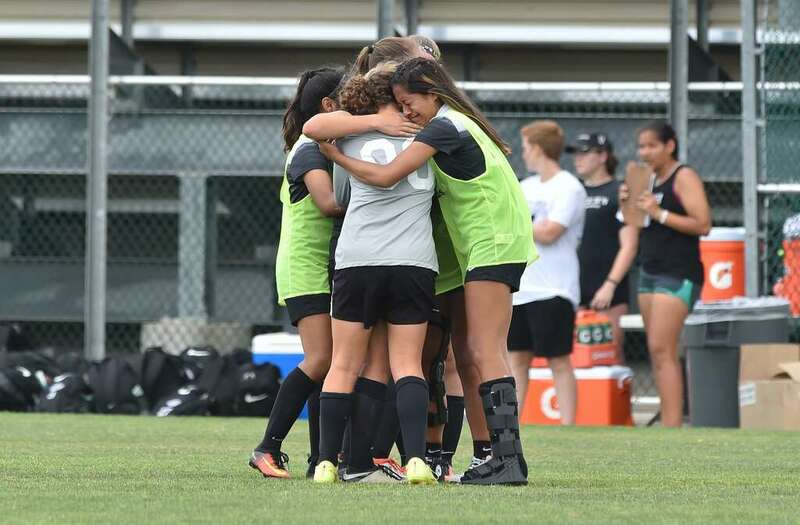 Two San Antonio girls varsity teams have fallen just short of qualifying for the state tournament as they fell in their regional finals on Saturday. Steele fell to Austin Vandegrift and Alamo Heights fell to Boerne Champion in the two matches. Steele took on Vandegrift at Blossom Athletic Center and lost just their second match of the year as they fell 2-0 in the match. Vandegrift came in to the match as favorites having made the 6A state final last year and cruising through the tournament so far. Three San Antonio teams have advanced to the final 16 in the boys’ varsity playoffs with Alamo Heights, Johnson, and Clark all recording wins on Tuesday night. Alamo Heights left the home fans upset in Kerrville as they managed a 3-0 win over Tivy at Atler Stadium. A strong second half proved the difference as they extended their 1-0 lead at half-time to completely get away from the hosts and advance. 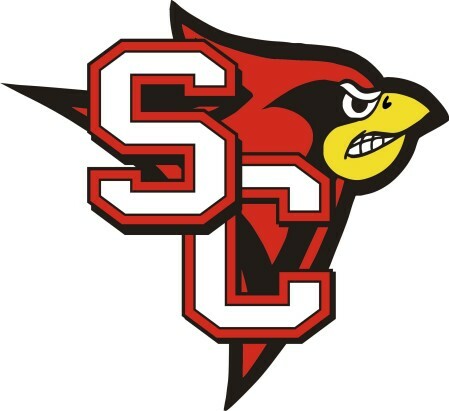 There was only one goal in the first half as junior midfielder Carson Shults was able to cross the ball in to the box and found senior forward Travis Baer who finished the opportunity. The hosts, Tivy, attacked through the half but could not break down the Alamo Heights defense keeping it 1-0 at half-time. After half-time Alamo Heights’ Morgan Smith began to shine as he laid off two assists for the goals that would seal the win. The first was to junior forward Jonathan Rocha, giving Alamo Heights breathing space before the third goal of the day sealed things with Tyler Bronson burying it to send Alamo Heights through. In San Antonio Johnson managed to please the home crowd as they managed a 3-1 win over Lake Travis at Blossom Athletic Center. The win makes it the best season in Johnson history as they advance past the third round for the first time ever. Senior midfielder Jacob Hallenberger got things going for the Jaguars as he managed to make enough space to score the goal in the first half. That goal would hold through to half-time as the Jaguars held out Lake Travis well to have a 1-0 lead at the break. The second half saw things continue for the Jaguars and the doubled their lead as senior midfielder Seth Holzmann set up senior midfielder Diego Bonito for the second. Moments later it was three as Hallenberger found Holzman, who continued his good senior season with a goal. 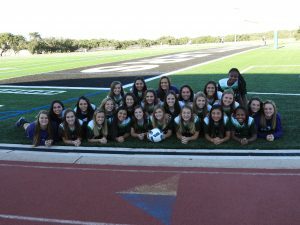 Lake Travis would eventually pull a goal back but it was too little too late as the Jaguars advanced. Farris Stadium saw an all San Antonio affair as Clark was able to manage a big 4-0 win over Jay to advance to the sweet 16. It sees the side go one step further than last season, after a phenomenal season fell disappointingly short. The opening goal came from a corner as the ball was swung in and found JonConnor Rule who was able to head it home. Just five minutes after the opener Luis Garcia stood over the ball and sent home a powerful free-kick from 20 yards. With time running out in the first half Clark was able to make it 3-0 as Pete Garcia managed an impressive goal to all but seal the match. On the hour mark Clark sealed the four goal win as Daniel Rodriguez hit a stunning volley that left the keeper with no chance. In the final half hour the Clark defense sealed the win as they held out the Jay attack, which kept coming but couldn’t break through. 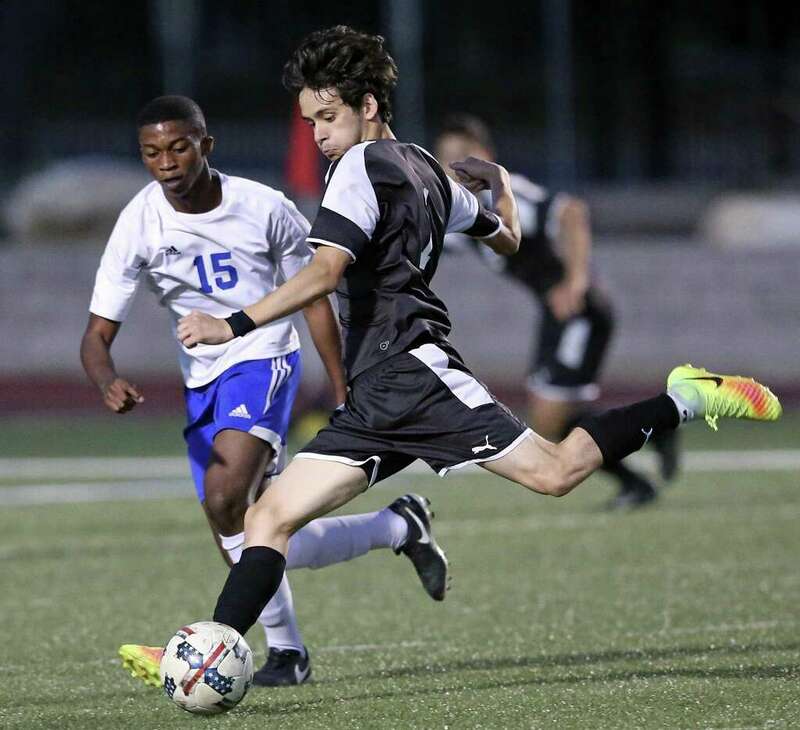 There was yet another thrilling San Antonio varsity soccer match on Monday as Churchill managed a big 4-3 win over MacArthur in boys soccer on Monday afternoon at Commlander Stadium. The result was crucial win for Churchill as they need to win out to seal a place in the playoffs and the 65th minute goal from senior midfielder Anthony Caraballo was vital in that effort, proving the winner. Churchill just managed to hold on as they were reduced to ten men just three minutes later. The Chargers were the stronger side in the opening stages and it was that strong start that would push them on to the win. Four minutes in to the match Churchill opened the scoring as senior forward Tristan Pettit was able to open the scoring after a simple finish. Just two minutes later the impressive freshman Skyler Frey continued his good start to his varsity career with a second goal, from the spot, which would prove vital for the match, and for the season. With a two goal deficit MacArthur was forced to respond and pulled a goal back in the middle of the first half. Junior midfielder Norberto Lira was able to get on the end of a ball from sophomore midfielder William Vidal to pull MacArthur back in to the match. The comeback continued as the Brahmas drew level less than ten minutes after the first goal went in. This time Lira turned provider as he was able to set up senior forward Gabriel Quinones for the equalizer. But Churchill charged right back in to the lead with just six minutes to play in the half going to the sheds on top. Sophomore forward Dorian Eguez set up junior forward Karl Pitkin to score their third and put the Chargers back on front at half-time. The second half was tight, with the two sides unable to break through for much of the half until the 65th minute. The goal came through a stunning strike from Carabello who was able to launch a powerful free-kick from 55 yards and hit the back of the net. 12 minutes from time Churchill were reduced to ten men, which opened the door for MacArthur, but they were left with little time. With just over three minutes to play Lira was able to set up sophomore midfielder Samuel Villegas to score but the final three minutes saw Churchill hold out well and manage a vital win.